The President of the United States Barack Obama and the German Chancellor Angela Merkel are due to open Hannover Messe 2016 – the world’s most important industrial technology trade fair. The show is on from Monday, 25th to Friday, 29th April in Hanover Germany. President Obama is due to appear at the official opening ceremony on Sunday, 24th April and is scheduled to accompany Merkel on the traditional opening tour on Monday morning. Approximately 5,000 companies from 70 countries will be exhibiting at Hannover in 2016 making it a ‘must visit’ event. Rayleigh Instruments are delighted to be exhibiting again at the exhibition after their very successful appearance last year. Rayleigh will be showing their Cloud based remote monitoring, control and billing system rayleighconnect™ along with their fantastically successful easywire® system for the rapid wiring and installation of Multifunction Energy Meters and Three Phase Current Transformers – again both systems are expected to generate a tremendous amount of interest. They will also be showing a raft of brand new products at the show – watch this space! Rayleighconnect is a cloud based energy management and remote control software package. Users can access the software online from any PC, Ipad or smart phone that has internet connection, or off-line if required. 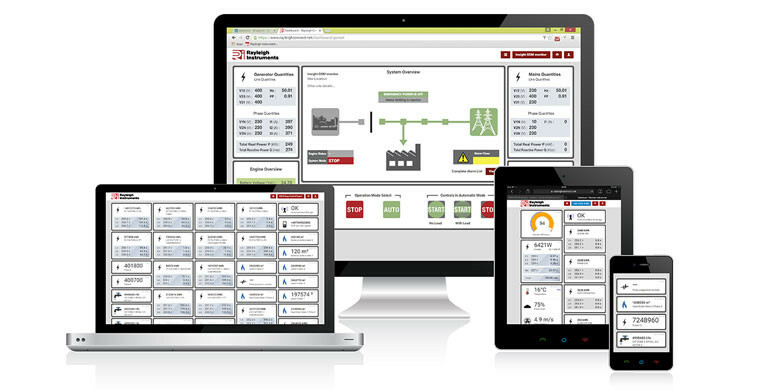 When used as an energy management metering solution rayleighconnect allows users to record data from one up to 4096 electricity, gas, water, heat meters or temperature sensor. Almost any device with pulse outputs or RS485 modbus can be connected via an interface module. These devices then transmit the collected data to the software , at a selectable frequency from once per minute up to once per month. When used with MID approved energy meters the system can also be used for automatic remote billing (upgraded licence required). Pictured above – rayleighconnect™ user configurable dashboard screens on various devices. UK and EU Patent Approved – more countries to come. This unique concept dramatically reduces the wiring/installation time of multifunction power meters and current transformers by 90% – the original and best. These savings are made possible due to innovative design both of current transformers and meters, which allow plug in connectors to be used for both current and voltage input/output. An RJ45 lead is used for connection between the three phase current transformer and meter, and ‘readymade’ plug in leads are used for the voltage input. You can find Rayleigh Instruments stand in Hall 12 Stand D29 – we look forward to seeing you there. 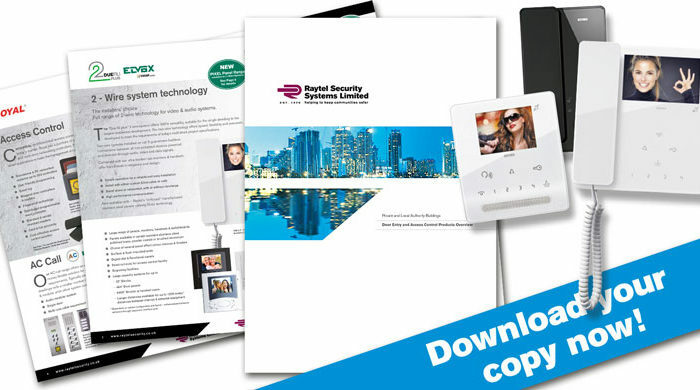 Raytel Security Systems new product overview brochure is here! 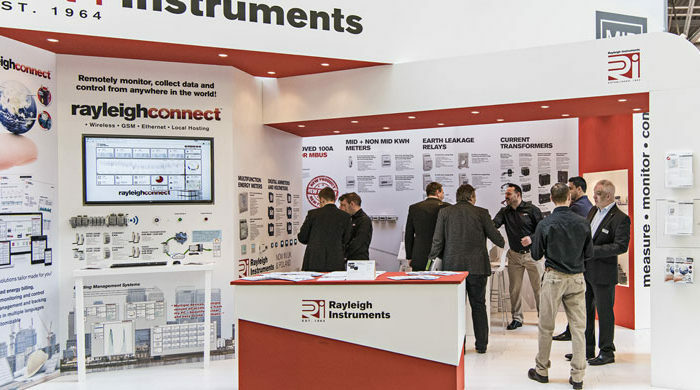 Rayleigh Instruments New Products take Hannover Messe by storm! Copyright 2018 Raytel Group Limited - All rights reserved.